Big changes are coming to the Academy Awards, including the addition of a popular film award category and the promise of a shorter ceremony in an effort to combat declining viewership and criticisms that the awards are out of touch with the mainstream. But the Wednesday morning announcement was also met with immediate backlash online, raising questions about what the new category would mean for a film like "Black Panther," a global blockbuster which has also been talked about as a favorite contender for the best picture Oscar. John Bailey, the newly re-elected president of the Academy of Motion Picture Arts and Sciences, and film Academy CEO Dawn Hudson said in an email to members Wednesday morning that the Board of Governors met Tuesday night to approve the changes, which also included bumping the 2020 ceremony up to Feb. 9. The date for the 2019 show, Feb. 24, remains unchanged. "We have heard from many of you about improvements needed to keep the Oscars and our Academy relevant in a changing world," Hudson and Bailey wrote. The new film category quickly drew negative attention, with "popular film" becoming a trending topic on Twitter by Wednesday afternoon. "Five Came Back" author Mark Harris tweeted that the popular film award, "Is a ghetto and will be perceived that way." Actor Rob Lowe tweeted that "The film business passed away today with the announcement of the "popular" film Oscar. It had been in poor health for a number of years. It is survived by sequels, tent-poles, and vertical integration." The addition of the popular film category, a clear effort to attract a larger audience to the ABC broadcast by honoring bigger and more seen films, led many to wonder whether a film like "Black Panther" would be ineligible for best picture and relegated to the popular film award because of its size and success, or lead to inadvertent segmenting by film academy voters. Bailey and Hudson said eligibility requirements will be determined at a later date, but it is worth nothing that other top film categories like best animated feature and best foreign language film don't prohibit a best picture nomination. "Toy Story 3" was nominated for both best picture and best animated feature. It also wasn't specified whether it would be added for the 91st Academy Awards this February. The division is not without precedent either. The first Academy Awards ceremony in 1929 actually did give out two top awards, one for Outstanding Picture and one for Unique and Artistic Picture to recognize both art films and epics, but the Unique and Artistic category was dropped the next year. Ratings for the 90th Academy Awards fell to an all-time low of 26.5 million viewers, down 19 percent from the previous year and the first time the glitzy awards ceremony had fewer than 30 million viewers since 2008. Hosted by Jimmy Kimmel, the ceremony also clocked it at nearly four hours, making it the longest show in over a decade. Runtime is a frequent criticism of the glitzy awards show, vexing hosts and producers as they try year after year to keep the ceremony to a palatable length and often using the orchestra to play winners off the stage. In an effort to keep future ceremonies to three hours, Bailey and Hudson said certain awards will still be presented live, but others will be given out during commercial breaks. 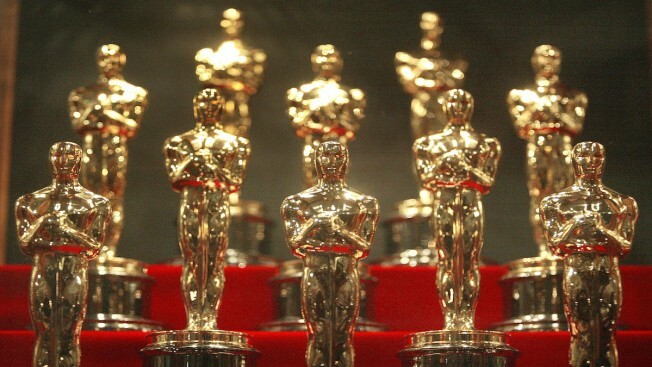 Specific categories will be determined at a later date, but the film academy said the off-air winning moments will be edited and aired in a later broadcast. Oscar viewership is often tied to the box-office muscle of the big nominees. The 2018 best picture winner, "The Shape of Water," had grossed $57.4 million in the United States by the time the awards aired and $63.9 million total. The biggest Academy Awards audience on record came in 1998, when the blockbuster "Titanic" was named best picture. Gregory Ellwood, the editor-at-large of The Playlist, noted that in the past decade there have been a significant number of $100 million-plus earners nominated for best picture, like "Gravity," ''Dunkirk," ''Get Out," ''Toy Story 3," ''The Help" and the "The Revenant," and some of which went on to win, like "Argo," ''The King's Speech" and "Slumdog Millionaire." Harris wrote on Twitter that while the academy might dismiss public reaction to the changes, the organization has broadened and diversified its membership in recent years and might find less support than they expect internally.